Money transfers and payments over mobile phones will be among the top 10 most important mobile applications by 2012, market research company Gartner said on Wednesday. Mobile money transfers top the list, beating out location-based services, search and browsing. Money transfers are already popular in a number of developing countries, and will continue to attract more users, according to Sandy Shen, research director in Gartner's Mobile Devices and Consumer Services group. "It's a way for users who don't have a bank account to get access to financial services," said Shen. Mobile payments came in sixth place on Gartner's list and will be used in both developed and developing markets, according to Shen. In developing markets, mobile payments aren't about offering something that hasn't been available before, and in the developed part of the world it's about offering more convenient ways of paying, she said. The use of NFC (Near Field Communication), which is in seventh place on Gartner's list, will be part of that. The technology lets users pay for goods by waving their NFC-enabled handset in front of a reader. 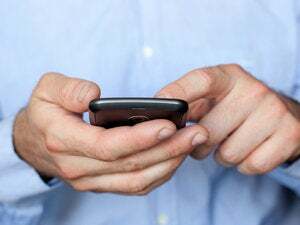 Mobile phones will also be used to authenticate online transactions, by sending one-time passwords to the phone, according to Shen, or creating them directly on the phone. Interest in mobile payments, money transfers and other related services is growing worldwide. Consumers in the U.S. and Canada will be able to keep track of spending via SMS (Short Message Service) alerts, Visa said on Tuesday. Mobile phones will be used to authenticate online transactions, MasterCard said on Monday. Also, mobile payment services were announced in Brazil, Cambodia and the U.K. this week. The number of worldwide mobile phone subscribers makes for an attractive target. The mobile phone is also a device that users tend to always carry with them, according to John Ahlberg, spokesman at Todos, which has launched an iPhone application for authenticating transactions and signed a deal with smart-card maker Oberthur Technologies. However, paying or transferring money with a mobile phone comes with a set of challenges, including both real and perceived security threats, according to Shen. The fact that the data is transmitted wirelessly adds a new level of risk, compared to traditional card payments, she said. Users must feel comfortable with using the mobile phone for mobile payments to become a success, according to Ahlberg. The other seven applications on Gartner's Top 10 Consumer Mobile Applications for 2012 list are in order of appearance: location-based services, search, browsing, health monitoring, advertising, instant messaging and music.